If you’re reading this right now you’re probably wondering how you can better use Pinterest to grow your blog traffic. I’ve been blogging on and off now for about two years, and I’m just now starting to get steady traffic to my gardening blog. I recently started using Tailwind and focusing on Pinterest after taking not one, but TWO courses that taught me that these two things are ESSENTIAL to growing your blog. My Pinterest impressions have gone through the roof, and they’re continuing to rise each and every day on average. My blog traffic more than DOUBLED in the same week that I started using Tailwind. I signed up for an account with them and immediately went to work implementing the strategies I learned in the two courses I took. Now a month later, my blog traffic has more than doubled AGAIN, and I’m bringing in more traffic than ever week after week. But you may be wondering how you can use Tailwind to see similar results of your own. I’m willing to share what I’ve learned with you, so today I’ll walk you through the process of using Tailwind to more than 4X your blog traffic. The first thing you’ll need to do in order to get started is to sign up for an account with Tailwind. 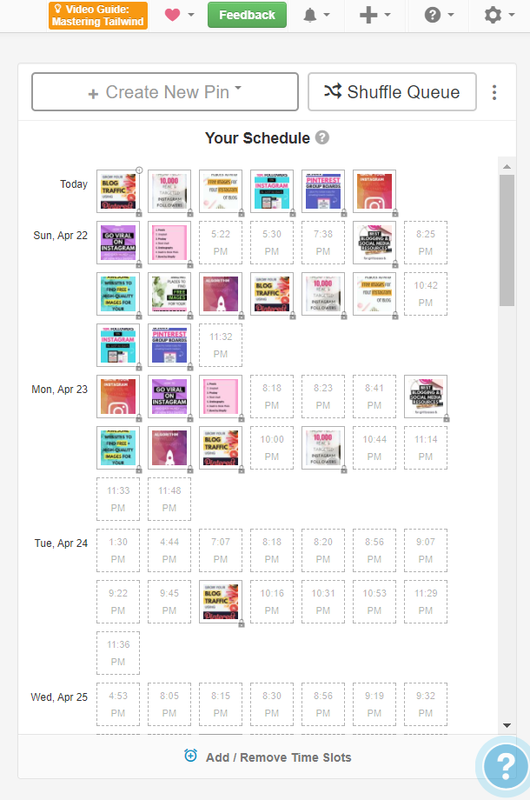 Tailwind is the ONLY Pinterest approved scheduling app, so it’s the only one I recommend. 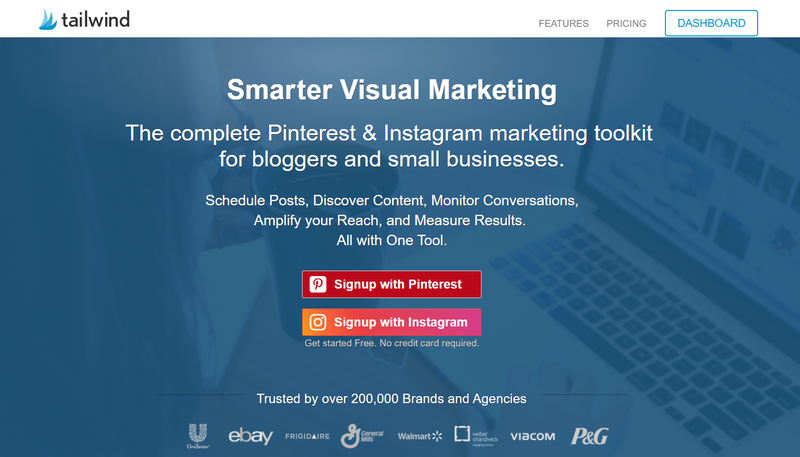 I previously tested out BoardBooster, but it isn’t Pinterest approved whereas Tailwind is. Because of this, I’m a bit wary of running into problems from using BoardBooster since it is technically against the Pinterest Terms of Service. 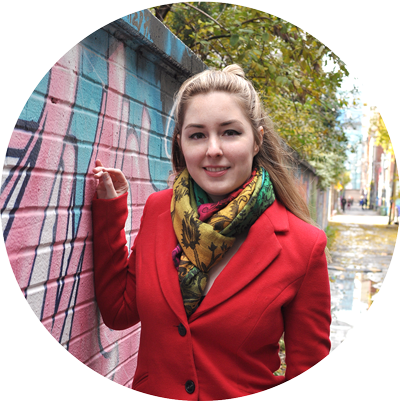 A lot of people use BoardBooster and get great results with them, so it’s totally your call. There’s a FREE 14-day trial of Tailwind available if you’d like to give it a try before committing to the monthly payment of $14. For me, the $14 a month is COMPLETELY worth it — because of Tailwind I’m seeing 4X the blog traffic I had beforehand, which will eventually translate into more sales and profits for me in the long run. If you’re still on the fence, just think about all the benefits you’ll get out of it, in increased traffic and subsequent sales. Once you signed up and gotten set up, you’re almost ready to go! You may have to wait a day or two before Tailwind starts showing you accurate analytics results for your account. There’s no rush, because we have some work to do outside of Tailwind before we start using it to schedule pins. Pinterest Group Boards have been an integral part in the strategy that has led to my 4X improvement in traffic. 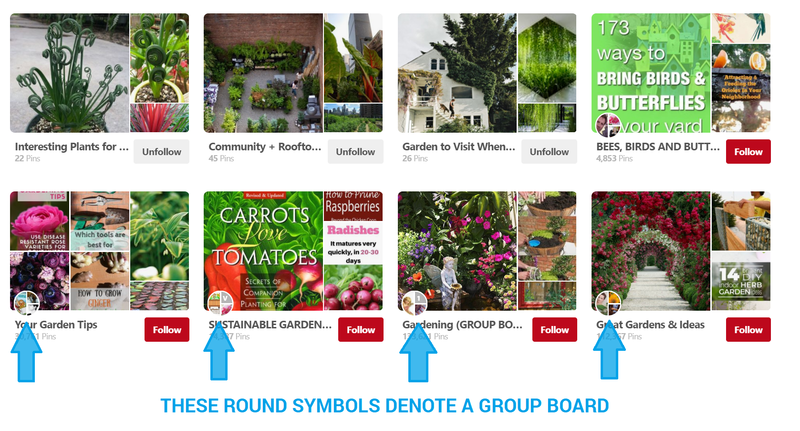 Group Boards are ESPECIALLY important if you’re just getting started on Pinterest and don’t have very many followers yet. When you get accepted as a contributor to a group board, you get to pin your content in front of the followers of the BOARD CREATOR. Group board creators often have thousands of followers — far more than you have when you’re just getting started. 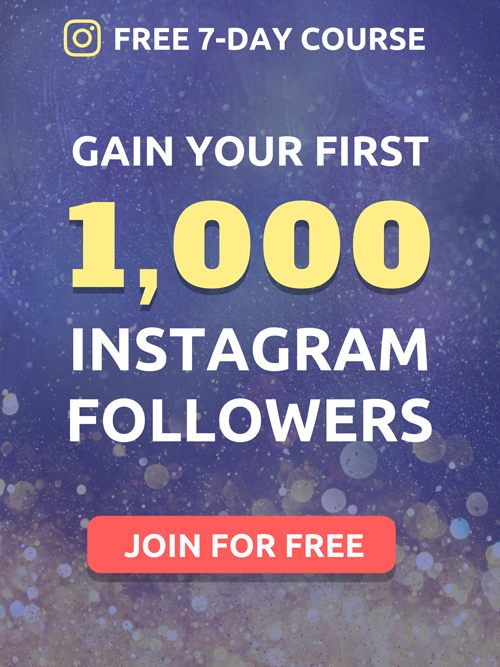 This allows you to get your pins in front of a MUCH LARGER audience than you normally would, which results in lots of repins and clicks to your blog or website. Posting to group boards every day can be accomplished easily thanks to Tailwind. All you need to do is schedule a few of your best posts to your top group boards every day. You can do this in batches by scheduling several days or weeks worth of pins in advance, and letting Tailwind run and bring traffic to your blog on autopilot. The HARD part is getting invited as a contributor to good group boards. I’ve written about the entire process for applying for and maximizing your chances of being accepted to group boards here. Basically, you’ll need to send a lot of emails to board creators in your niche requesting to join, and hope to hear back with an invitation. This process often has poor response rates, so my only advice is to apply to as many group boards as you can and to keep trying. Once you’ve join at least 10-15 group boards in your niche, you’re ready for the next step. The number one factor in determining your success with driving traffic from Pinterest is how good your pins look. You can be a poor writer, but if you can make gorgeous & eye-catching pins then you’re not going to have trouble driving lots of traffic to your site. I was creating half-decent pins before, but I really upped my game after enrolling in The Perfect Pin course. This is a short but comprehensive course where you’ll learn the simple, repeatable process to creating pins with the potential to go VIRAL on Pinterest. There is a method to the madness, and since your pin design is a deciding factor in whether you succeed or not, this course is DEFINITELY worth the investment. My pin design improved a lot as a result of taking this course, and my new pins have started driving way more traffic than my old pins with my old designs. It’s like night and day. The guys behind the course, Ben & Jeff from over at Breaking the One Percent really know their stuff — they’re able to drive over 150,000 pageviews to their personal finance blog through Pinterest every month. Ben and Jeff show you EXACTLY what things to include and exclude from your pins in order to catch the most attention from Pinterest users. I highly recommend this course, as it is already a steal at the normal price of $47. Most Pinterest courses of this quality will cost you a pretty penny, and this one will really make a difference in your Pinterest traffic for an affordable price. Viral pins have: big & bold text, bright & contrasting colors, an eye-catching image, and a good call to action. Okay, so now that you’ve joined a few group boards, and you’ve designed a bunch of eye-catching pins that are SURE to drive traffic, you’re ready to start posting to your group boards! That is, right after you analyze them in Tailwind to find your BEST ones. You see, not all Pinterest Group Boards are created equal, and some are downright harmful if you post to them. Only post to group boards with more followers than you. Don’t post to group boards with thousands of contributors — these boards are spammy at best, and you won’t gain any traction by using them. Post to group boards with fewer than 100 contributors when you can — these are often of higher quality. Post to niche specific group boards — there’s no point posting your blueberry muffin recipe on a fashion board. To find your best group boards inside Tailwind, head to the Board Insights Tab, and make sure only the Group Boards checkbox remains checked. Find your best performing group boards in Tailwind > Board Insights, then sort your boards by Virality score. Then, sort your group boards by Virality Score. This will put your boards with the HIGHEST repin rate at the top. These are the best group boards to pin to, because they have the highest ratio of repins to pins on them. Getting repins is important because it will allow your pins to spread throughout Pinterest and drive traffic to your website. Head on over to your Board Lists section and add your top ten Group Boards to a new Board List. You’ll be using the Board List you just created (with your top ten group boards) to post your best content to Pinterest using Tailwind. To find your best pins, go to the Pin Inspector tab to find your top 10 or so best performing pins. They should automatically show up at the top — these are your pins that have gotten the most repins recently. These are the pins that are getting the most traction on Pinterest. You want to take advantage of that and pin them as much as you can! Take each of your top ten pins, plus any new pins you would like to promote, and schedule them to your Board List of top 10 group boards. Tailwind automatically schedules your pins at optimal times, so all you need to do is decide how many pins you’d like to schedule each day. Tailwind find the best times for you to post and schedules your pins at optimal times. I normally schedule 10-15 pins to my group boards each day. This will send your best pins to your best performing group boards to maximize both your repin rate and traffic sent to your blog or website. I usually schedule about 10 days worth of pins at a time, sending anywhere from 1-3 pins to each of my top group boards each day. Make sure you check you group boards for rules, as you’ll want to obey the rules for each individual board (you don’t want to get kicked out!). This process saves me a LOT of time which I can spend on other things such as creating more content, writing more blog posts, or posting to other social media platforms to drive EVEN MORE traffic to my blog! 6. Ready to Take Your Pinterest to the Next Level? The second Pinterest course that helped me achieve these results is called Pinterest Traffic Avalanche from the folks over at Create and Go. This course really changed the game for me. Apart from spending time to create awesome pins and posting them to group boards, there is SO much more to learn about Pinterest to help drive more traffic to your blog. Pinterest is a search engine, and you can also SEO optimize your pins to increase your search visibility, boost your repin rate, and drive more traffic to your blog. 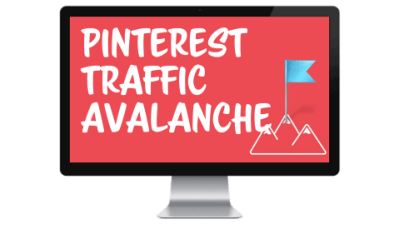 Lauren and Alex (the course creators) show you how to do this and a whole lot more inside of Pinterest Traffic Avalanche. I can attribute most of my success with Pinterest to taking this course — it’s THAT good. So if you’re ready to get serious about growing your blog with Pinterest, this course is SO worth it. Pinterest is one of my top sources of traffic for BOTH of my blogs (the other source is Google traffic), and it’s the reason I’m beginning to make money and see success! 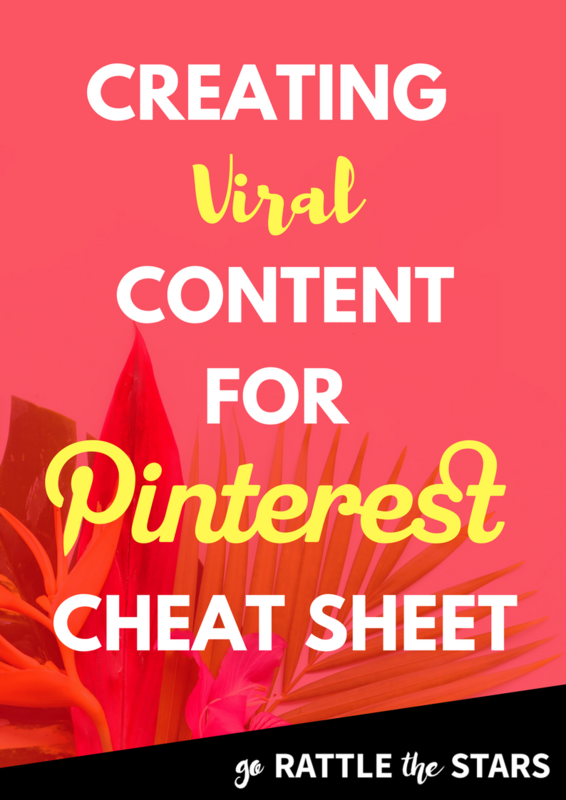 CREATE PINS THAT GO VIRAL ON PINTEREST AND DRIVE MASSIVE TRAFFIC TO YOUR BLOG.